It would probably be Star Wars, Transformers or Tron. Already a Fan of Techlicious in Facebook. I would like to watch the newest Harry Potter with Dolby Digital Plus 5.1 Surround. I would love to see Willow and Forest Gump, both are favorites of mine. I would love to see Capt. Avenger. Any Pirates of the Caribbean Movie - Johnny Depp sounds even better in Dolby Surround! I'd like to see Avatar. I’d like to see Avatar. I wanna watch the Harry Potter movies! I would like to see Avatar in Dolby Digital Plus 5.1 Surround. I already sub to your newsletter. Lord of the Rings Directors cut. full boxed set! I"m sure it will do justice to all the Harry Potters before it!!!!! How about the Star Wars series, I’d love to see all of those again. I think any movie would look great, but my kids would love to watch any of the Harry Potter movies. I’d love to watch Avatar in Dolby Digital Plus 5.1 Surround!! I mean, how awesome would it be to use the 3D and hear it in 3D? I want to watch Pearl Harbor in Dolby Digital Plus 5.1 Surround! I want to watch the Lord of the Rings movies in Dolby Digital Plus 5.1 Surround. I already “like” your FB page. i would love a PS3. i would love a PS3. i’d watch avitar. I’d like to watch Twilight Movies on it. The movie I want to watch in Dolby Digital Plus 5.1 Surround is Avatar. I can’t think of a better movie than Star Wars to fwatch and hear on the Sony PlayStaion 3 with the Dolby 5.1 Surround System! 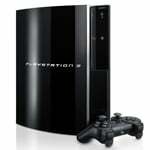 PS3 Give-away…... I would watch Harry Potter series. Definitely the Lord of the Rings trilogy. Avatar, and HP7 Part 2 when it comes out. I cannot go to theaters so it would be a special treat to see it off a blue ray on my friends HD tv. Let me win and enjoy an oldie but goodie. thanks. I’d watch the Harry Potter series. What Dreams May Come would be awesome. It would be a toss up between Lord Of The Rings and 24 so I would watch both! I don’t have surround sound right now so this would be an awesome win! I’d love to see Harry Potter—all the animation and sounds…oh goodness. How awesome.